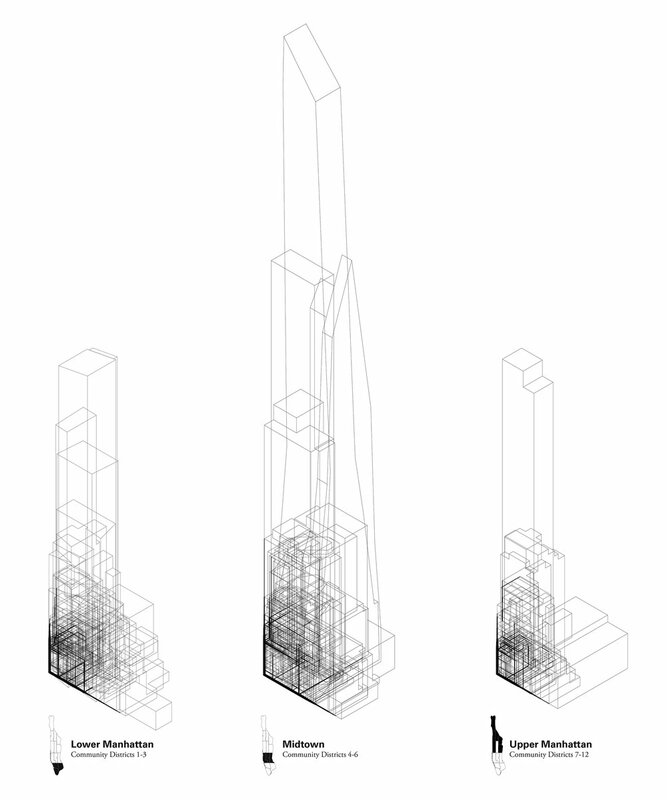 Ongoing research into zoning and building forms in New York City. Design by ERA / Eric Rothfeder Architect. What is the "average" building in New York, understood not in terms of quality or aesthetic judgment but as a statistical fact? What do these averages tell us about the relation between architectural form and the restrictions and incentives set by zoning and the economics of development? 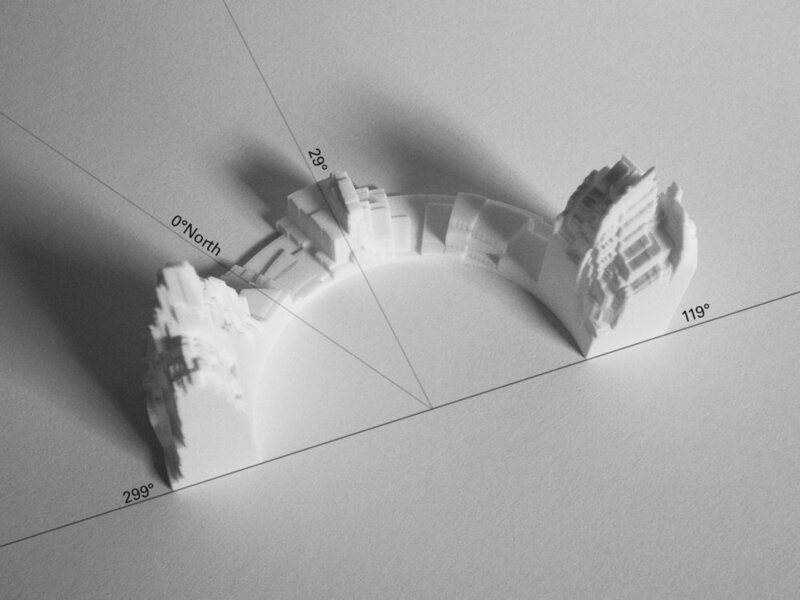 How can we see urban form in a temporal rather than a geographic context? AverageNewYork is an urban data visualization project that represents and analyzes the emerging realities of New York City's built environment through an innovative use of public documents. 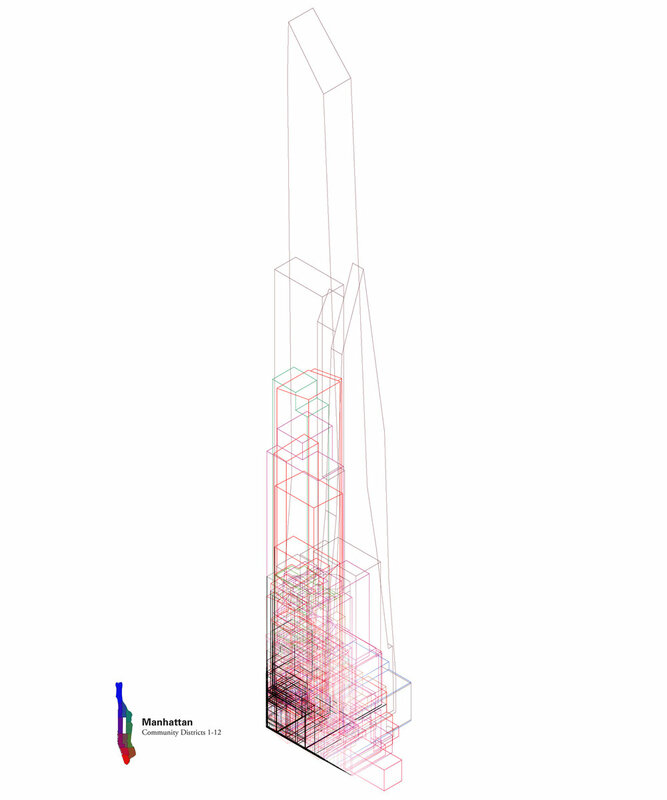 Beginning in March 2009, New York City has required architects to submit a three-dimensional diagram of all new buildings for public zoning review. This document—the ZD1—provides an unprecedented resource of spatial information about the city’s constructed environment. During this same period, the accelerated pace of development combined with revisions to the city's zoning laws have resulted in significant changes to the form, massing and scale of new buildings. By combining new 3D visualization techniques with the data gathered from ZD1 public documents, this project will track, interpret and display the emerging realities of New York's urban environment.